The 4th annual West of West (W.O.W.) Wine Festival, one of the premier wine festivals in California, is fast approaching and tickets are very close to being completely sold out. This weekend-long event featuring top wineries, restaurants and ground-breaking seminars is almost sold out. This year it will be held August 1st thru 3rd at The Barlow Center in Sebastopol, CA. 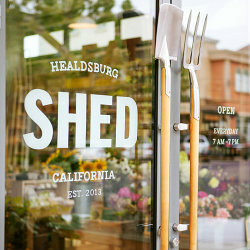 To kick the weekend off, Red Car will co-host a winemaker dinner with Ramey Wine Cellars on Friday, August 1st at Shed in Healdsburg, which won the James Beard Award for Outstanding Restaurant Design this Spring. Experience an educational wine tasting led by David Ramey and Carroll Kemp expertly paired with seasonal courses prepared by Shed. Dinner tickets are almost sold out and can be purchased through the West Sonoma Coast Vintners by clicking here. W.O.W. 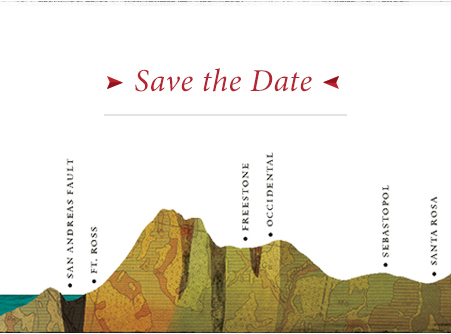 is undoubtedly your best opportunity to experience the extraordinary wine, food and culture of the West Sonoma Coast. This will be the most exciting line up of wineries, seminars and restaurants, to date. Wine experience-seekers will gain unparalleled access to small production, limited release wines tasted in the region where they were grown, as well as a front row seat at exciting seminars featuring prominent guest speakers. Come taste these prestigious coastal wines in their native environment with the proprietors on hand. You will experience the West Sonoma Coast in a whole new way. Get your ticketshere. For more detailed information visit www.westsonomacoast.com. As always, if you have any questions, please do not hesitate to contact Jenny at jenny@redcarwine.com or 707-829-8500 ext. 105. We hope to see you here! Life is a journey. Get on the Red Car.